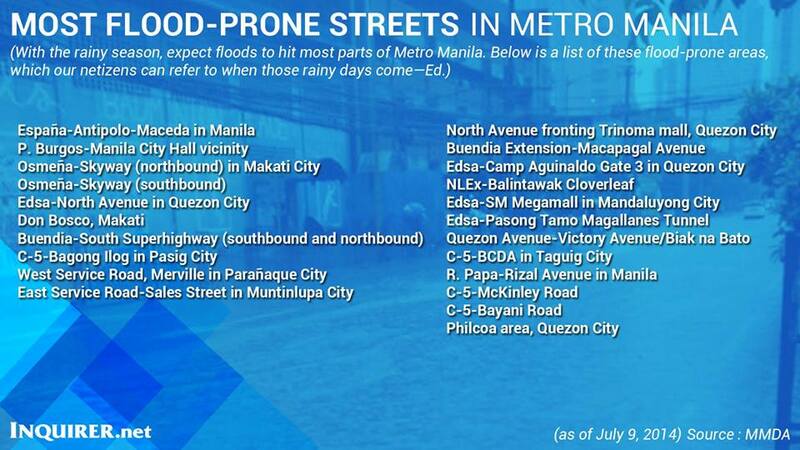 While this can be a helpful reminder to all motorists and commuters, I also think that it’s better if they can inform us of what is being done about this flood problem. I hate thinking about how we should just accept the fact that we get inconvenienced whenever there’s a downpour (whether it’s just a drizzle or a heavy one) and no one’s probably doing about it? Or if there is any, it’s not that effective? I mean, we always pass by Don Bosco, where there’s ALWAYS road construction in the area. But hey, the same old problem still exists. It’s sad. And totally unsafe.